We are continuously exposed to harmful files. The viruses and malware on the Internet can seep into our workplace or house very easily in many different ways, that's why VirusBarrier is essential if you want to be sure that the files that you are working with are totally free of threats. 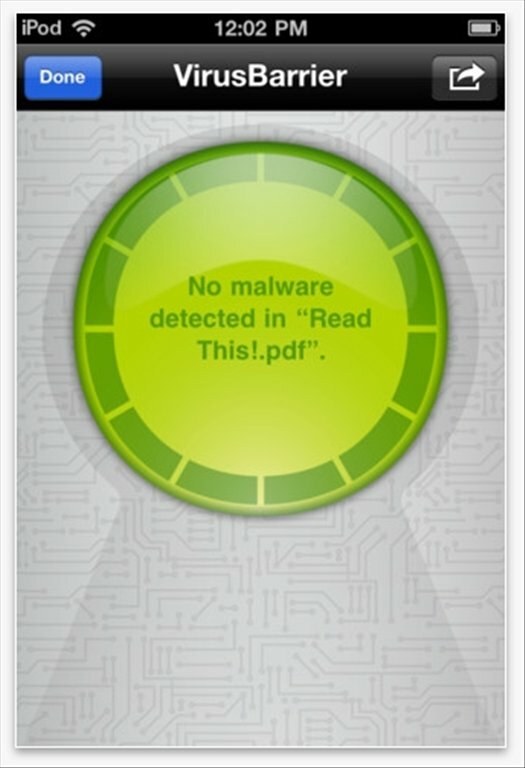 Protect your iOS devices against all types of known malware and repair infected files. Search for spyware, trojans, adware, dialers, keyloggers, etc. 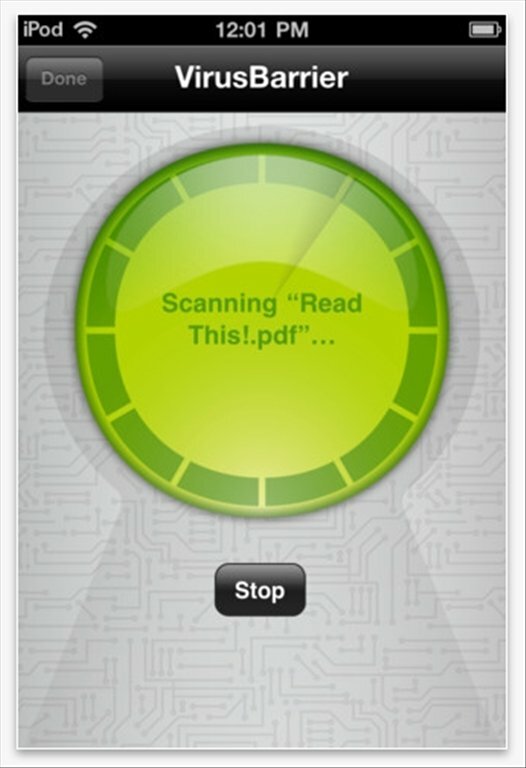 Analyze attached files or any other file accessible from iOS: remote locations, web servers and FTP, etc. 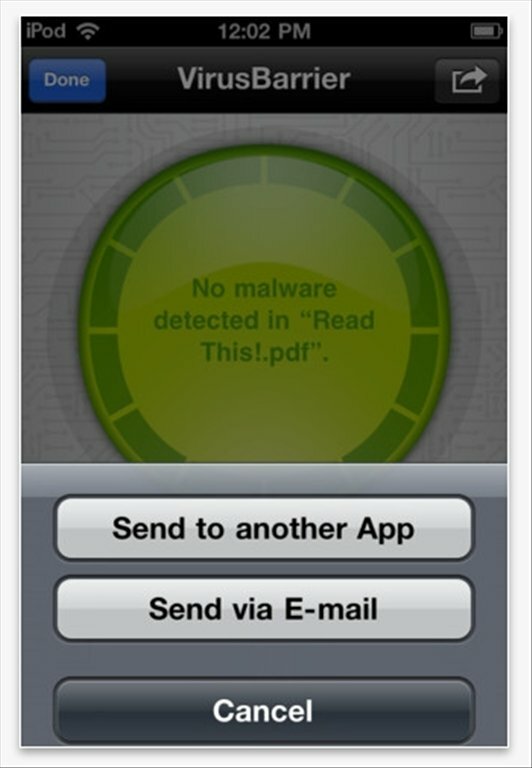 On demand detection system for iOS. 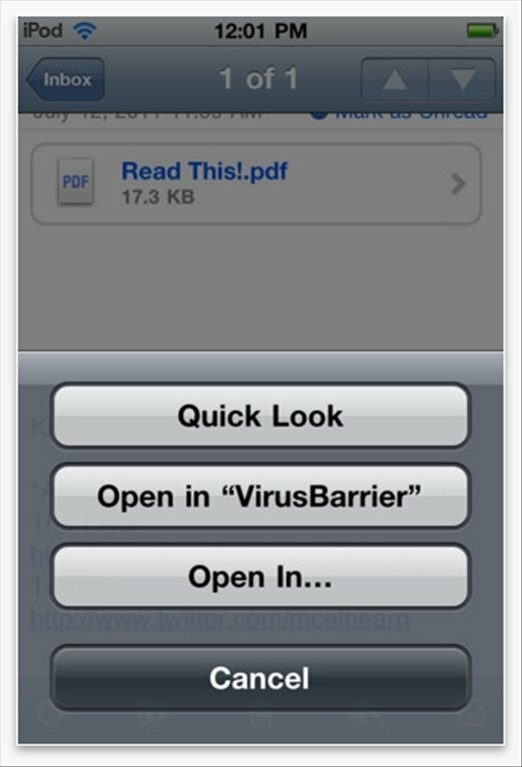 Keep your iPhone or iPad free from all kinds of dangers once you download VirusBarrier for iOS. This is a pay-to-use application.